Erskineville Kings is a 1999 Australian drama film directed and produced by newcomer Alan White. The film was produced by Radical Media made for Palace Films on a minimal budget. It was released on 1 January 1999. The film deals with the story of two brothers. Barky (Marty Denniss) is 25 years old and returning to Sydney after two years of living in the northern sugar cane growing areas. He has returned home to attend the funeral of his father (Paul Dawber). The film begins with Barky's arrival at Central station at dawn, seeking the whereabouts of his brother, Wace (Hugh Jackman). We learn from flashbacks that he left home two years ago to escape the clutches of his father’s violent rages. Wace, the older brother, is not too happy about Barky’s prolonged absence, having been left to manage looking after the father in his last years of life. After walking through the streets he finds an old mate of his, Wayne (Joel Edgerton), who assures him of the location of his brother. He succeeds in finding his brother through the help of Wayne and friends, who all end up at a pub where it is revealed that Barky and Wace's mother left the family fifteen years earlier and that Wace hastened his father's death after he was struck down by a stroke. Barky also crosses paths with his ex-girlfriend, Lanny, and manages to rekindle the relationship. The film was shot in the streets of Newtown, Millers Point, New South Wales, and Chippendale, New South Wales, including inside Gould's Bookstore in Newtown and the Hollywood Hotel in Surry Hills. The title of the movie refers to the King's Hotel, a fictional hotel in which most of the movie takes place. Erskineville Kings grossed $183,691 at the box office in Australia. This article related to an Australian film of the 1990s is a stub. You can help Wikipedia by expanding it. Newtown, a suburb of Sydney's inner west, is located approximately four kilometres south-west of the Sydney central business district, straddling the local government areas of the City of Sydney and Inner West Council in the state of New South Wales, Australia. King Street is the central thoroughfare of the suburb of Newtown in Sydney, Australia. The residents of the area, including a higher-than-average concentration of students, LGBT people and artists, are most visible on this street, sealing Newtown's reputation as Sydney's premier hub of subcultures. The street can be divided geographically into two sections, North and South. King Street is particularly notable for the many picturesque Victorian era and Edwardian era commercial buildings that line the street. Joel Edgerton is an Australian actor, director, writer, producer and filmmaker. 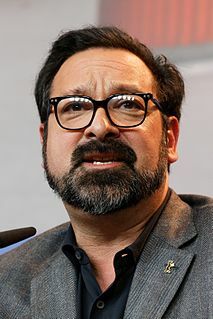 He has appeared in the films Star Wars: Episode II – Attack of the Clones (2002), Star Wars: Episode III - Revenge of the Sith (2005), Warrior (2011), Zero Dark Thirty (2012), The Great Gatsby (2013), Black Mass (2015), Loving (2016), It Comes at Night (2017), and Red Sparrow (2018). The Magician is an Australian film released in 2005, written and directed by Scott Ryan. It is a mockumentary following the escapades of a Melbourne underworld hitman. The film was originally shot over 10 days with a budget of A$3,000. Ryan edited a half-hour version of the film for screening at the St. Kilda Film Festival, where it was seen by stuntman and film producer Nash Edgerton, who took the project under his wing. After receiving A$330,000 in government grants, the film was re-released in 2005. Since the 1980s, the area surrounding the inner-Sydney suburb of Newtown, New South Wales (NSW), Australia—including the suburbs of Newtown, Enmore, Erskineville, Camperdown and St Peters—has been known for its wide range of prominent graffiti and street art on walls. The public visual art in the Newtown area consists of a variety of styles and methods of execution, including large-scale painted murals, hand-painted political slogans, hand-painted figurative designs, spray painted semi-abstract designs "tags"), and other stylistic developments such as stencil art and street poster art, "Yarn bombing", and sculptural items cast from plaster and other materials. The Square is a 2008 Australian neo-noir thriller film directed by Nash Edgerton, written by his brother Joel Edgerton and Matthew Dabner, and starring David Roberts and Claire van der Boom. Based upon an original idea by Joel, the project was written and then shelved by the actor because he felt it was not strong enough. It was only made after his director brother Nash read the script and convinced him it could be filmed as a thriller. The film premiered in competition at Sydney Film Festival on 15 June 2008 and after that had a limited release in Australia on 31 July 2008, and was released in North America in 2010 by Apparition. 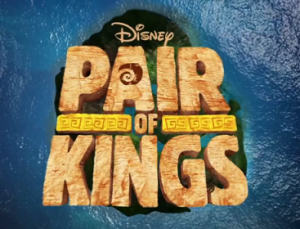 Pair of Kings is an American television sitcom that originally aired on the cable channel Disney XD from September 10, 2010 to February 18, 2013. The sitcom's target audience was teenagers. The series began production on February 15, 2010, with stars Mitchel Musso and Doc Shaw departing fellow Disney series Hannah Montana and The Suite Life on Deck respectively, and premiered on September 10, 2010 on the Disney Channel. The show is filmed before a live studio audience, but uses a laugh track. On November 20, 2010, Disney XD announced Pair of Kings had been renewed for a second season, which premiered on June 13, 2011. In December 2011, the series was renewed for a third season, however Disney announced Musso would be replaced with actor Adam Hicks who has worked with Disney on previous projects such as Zeke and Luther. The third season premiered on June 18, 2012. However, on November 3, 2012, it was announced on Adam Hicks's Twitter page that Disney XD would not renew Pair of Kings for a fourth season. The series revolves around a pair of Chicago teens who discover they are rulers of a fictitious Pacific island nation. 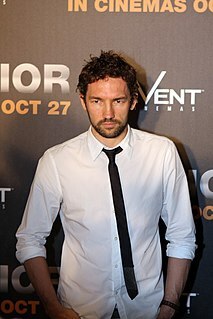 Nash Edgerton is an Australian film director and stuntman, and a principal member of the movie-making collective Blue-Tongue Films. Prisoners is a 2013 American thriller film directed by Denis Villeneuve from a screenplay written by Aaron Guzikowski. The film has an ensemble cast including Hugh Jackman, Jake Gyllenhaal, Viola Davis, Maria Bello, Terrence Howard, Melissa Leo and Paul Dano. It is Villeneuve's first English-language feature film. 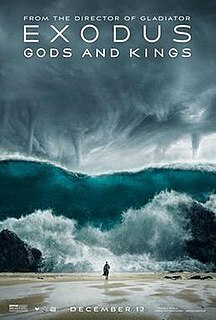 Exodus: Gods and Kings is a 2014 epic biblical film directed and produced by Ridley Scott. An international co-production between the United States, the United Kingdom, and Spain, it was produced by Peter Chernin, Jenno Topping, Michael Schaefer, and Mark Huffam with music by Alberto Iglesias and written by Adam Cooper, Bill Collage, Jeffrey Caine, and Steven Zaillian. The film stars Christian Bale, Joel Edgerton, John Turturro, Aaron Paul, Ben Mendelsohn, María Valverde, Sigourney Weaver, Ghassan Massoud, Indira Varma, Golshifteh Farahani, and Ben Kingsley. It is inspired by the biblical episode of The Exodus of the Hebrews from Egypt led by Moses and related in the Book of Exodus. It Comes at Night is a 2017 American horror film written and directed by Trey Edward Shults. It stars Joel Edgerton, Carmen Ejogo, Christopher Abbott, Kelvin Harrison Jr., and Riley Keough.